If you attend horror events on a regular basis, sooner or later you’ll run into a t-shirt that reads: “I’d rather see a bad zombie movie than no zombie movie at all.” Filmmakers seem more than aware of that mindset, and they flood the market with zombie films that seem designed to be exactly that. 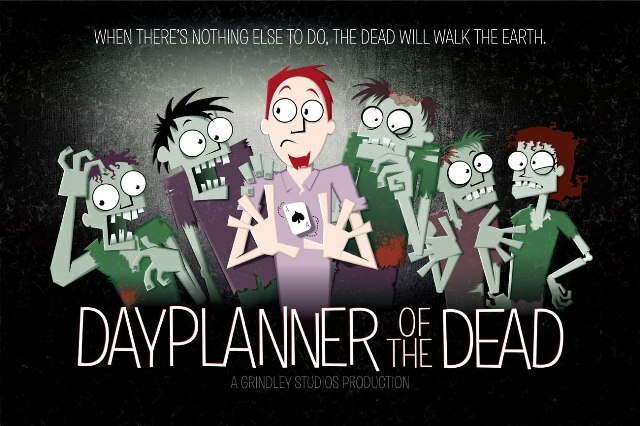 But a group of filmmakers in Michigan are ready to break the mold this October when they begin shooting their new comedy, Dayplanner of the Dead. Dayplanner is a rollicking comedy that presents a fresh and unique take on the genre. In the story, the zombies don’t eat people because they’re bloodthirsty monsters. They eat because they’re bored, just like us regular folks do. The hero of the piece realizes that if he keeps the zombies entertained, he stays alive, and so he becomes recreation director of the undead. Not only does the film boast a great premise, it’s attracting attention from some major players in the horror community. 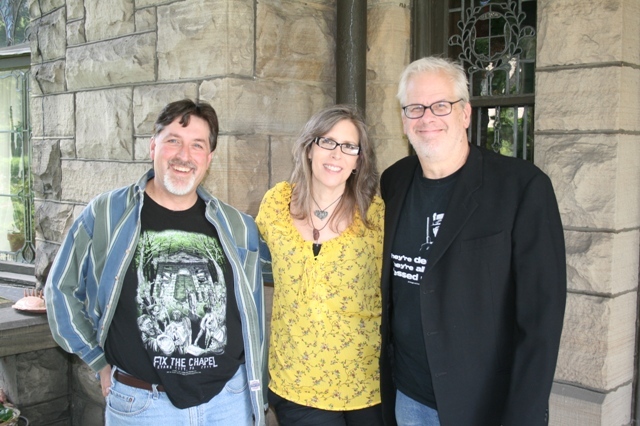 Streiner will be appearing in the film, as will Kyra Schon, famous as zombie Karen Cooper in the original Night of the Living Dead. In fact, she’s returning to the screen as a zombie for the first time in over forty years just for this flick. And Evil Dead effects genius Tom Sullivan will be appearing as well! The Daves will be watching this project with great interest and we hope you’ll do the same. You can follow all the production updates HERE and you can check out their indiegogo campaign HERE! Tell em the Daves said HI!! This entry was posted in Misc Mayhem and tagged Dayplanner of the Dead, NIGHT OF THE LIVING DEAD, Zombies. Bookmark the permalink. ← A Fan Fix for “Night of the Living Dead’s” Evans City Cemetery Chapel!